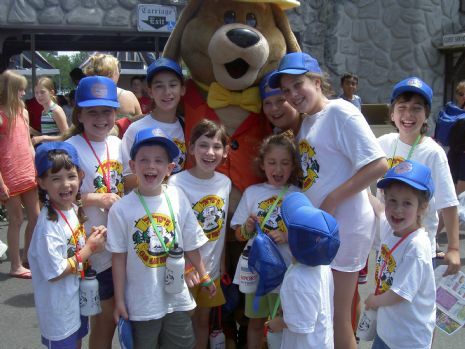 Camp GAN ISRAEL provids a superb, fun camp experience for Jewish children of all ages! Promoting a love for Judaism and Israel. Registration for the 2018 season is now open, please click here to register ! Early-bird special ends February 15! Make sure to register NOW ! Remember! Register by February 15 to receive the 'EARLY-BIRD" discount! Tuition is affordable and it includes all activities, and Kosher lunch and snacks daily! CGI at MetroWest offers various exciting programs and activities. Once you are registered you will receive a full-color camp schedule. But in the meantime, you can browse some of the programs and activities , and learn about our sports and swimming programs, that make our camp the GREATEST CAMP! Did you know that at CGI your child will receive delicious lunches and snacks everyday?! And that's at NO EXTRA COST to you! The Milford division will take place at the facilities of the Chabad House Jewish Center.